Today Congressman Steve Buyer completely lost his cool on the House floor when the presiding Democrat would not allow him to address the House. Buyer responded, “This is why the American people have thrown you out of power”. Click the picture below to watch it on YouTube. Congressman Buyer was eventually allowed to speak after they cut off his microphone for a few moments. Indianapolis Times has it that Tom John will step down as Marion County Republican Chairman soon and that Kyle Walker is a potential front-runner to fill his spot. Walker ran Mark Massa’s Prosecutor Campaign and was the Executive Director in 2007. He also was an Area Chair in the Southeast. We’re going to work on tracking down the details but you can bet that Tom John and Kyle Walker did not plan to have this story broken by a Democrat blogger that has been trashing both of them for months. Congressman Mike Pence is speaking at the Detroit Economic Club this afternoon. The Indy Star says the speech is likely to focus on “Pence’s ‘vision for economic growth, prosperity and job creation’”. We’ll be watching this speech closely. We maintain that Congressman Pence is running for Governor but has generally focused his message on a conservative social agenda and national issues. Governor of Indiana is a job that requires a firm grasp on economic issues and more than talking points on balanced budgets and lowering spending. The Congressman has yet to really focus on these issues so far. This speech is a perfect opportunity to keep national pundits talking while moving his messaging in a direction more suitable for a bid for Governor. Over the holiday, the TEA Party had a victory and a defeat. On Wednesday night, Bristol Palin lost Dancing with the Stars to 50-year old Jennifer Grey. Many speculated that Bristol was only in the running due to the TEA Party grassroots efforts. TEA Party officials defended the loss saying it really was never fair for any celebrity to be in a dance competition with the star of “Dirty Dancing”. Later in the holiday, the TEA Party was handed an unexpected victory when President Obama took an elbow in a pick-up game of basketball. Editors Note: TEA Party officials didn’t really comment on this. We’re having a bit of fun before breaking out of our turkey coma and getting serious. We’ll be taking the day off from blogging to enjoy the holiday and we hope you’ll do the same. Before we do, however, we wanted to take this opportunity to declare a truce for the day and wish everyone a Happy Thanksgiving. We can all go back to debating and disagreeing in a few days. Now go eat some turkey! While we don’t always agree, we need to give some props to Gary Welsh over at Advance Indiana. Yesterday, there was a post on a local blog (yes, it was Paul Ogden though we really don’t want to always fight with him) focused on the towing deal and singling out a few councilors, specifically City-County Councilor Bob Lutz as having an ownership in Zores Inc. and serving as their attorney. Paul, Bob Lutz explained his disclosure to me on his statement of economic interest concerning Zore’s Inc. He said he does not have an ownership interest in the company. He performs legal work for the business in excess of $5,000 a year. I suggested to him the disclosure forms be revamped so the public could better understand what interest the public official is disclosing rather than grouping under one question having an ownership interest, serving as an officer or being compensated by the entity. Unless the official specifies the disclosure, it could be any of the three. The lobbyist registration for Zore’s Inc. is rather new; it wasn’t listed the last time I looked at the database a couple of weeks ago. Good catch. Props to Gary for actually following up and asking Lutz for the details. It is good to know someone is asking questions before throwing out blind accusations. 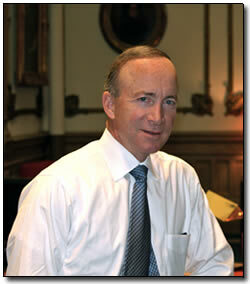 Today Governor Mitch Daniels spoke to the Indianapolis Rotary. According to the Jon Murray of the Indy Star, he spoke generally about local government reform, balancing the budget and education reform. It sounds as though education reform really was the focal point of the speech with the Governor saying, this legislative session is “the year when we really make a move for greatness”. Daniels is looking for flexibility to reward the best teachers and get rid of the worst. According to Abdul who attended the speech, Daniels said only .2% of teachers were let go for performance reasons. I think most folks can agree that more than .2% of employees in virtually any profession are probably not performing at the highest standards. Daniels also said he wants to streamline regulations to give local school administrations more flexibility to make their schools better. The final piece is to provide more education options for parents through charter schools and other initiatives to help parents get their kids in the best possible school for the child. As Matt Tully noted last month, now is the time to get serious about education reform. 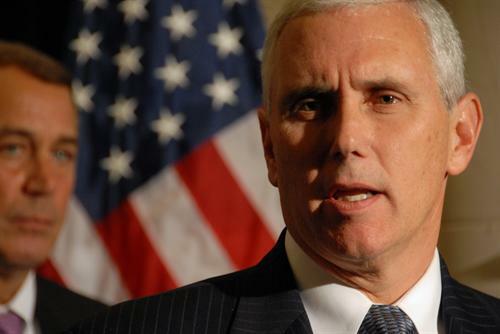 In that article, the Governor said Indiana can be the national leader in education reform. With a majority in the House and a super majority in the Senate, Governor Daniels has the tools to get the job done.